Language professionals take breaks too (or, at least, they should!). This week the site opened an area called the Translator playground, for translators to have fun, to network, to learn, and to hone their translation or linguistic skills. The area consists of a collection of games, memes, quizzes, trivia, anecdotes, discussions, and other items of interest and, principally, fun! The area is just getting started, but already some interesting and fun interactions are taking place. For example, this discussion on translating a comic. When you take a break today, stop by the Translator playground and check it out. Everyone is welcome to participate and to add what they find fun and of interest. Do any of these quotes represent what translation is to you? Do you have a favorite quote on translation that better sums up the profession? There is a ProZ.com Wiki article which is a collection of memorable quotes on or related to translation. Check it out here. Add to it if you can. If you could sum up the art of translation, or the life of a translator, what original quote would you like to leave behind? Be creative! Then I remember hearing about Twitter in the ProZ.com forums, and people were talking about being able to add a Twitter feed to your ProZ.com profile. One of the most vocal in favor was member Erik Hansson, who has been an excellent example of the use of Twitter by an industry professional. Professional translators were using Twitter? What were they using it for? I decided to go ahead and create an account and poke around and see what was going on. At first, on a general look around, I saw a lot of the same stuff you will see on any other social network. Ugh, I thought. Let’s see what translators are doing. This is where it got interesting. I saw people in the translation industry using it (as they use other social networks!) to network, share information, stay informed, promote themselves and others. Work was even getting passed and done through it. I had felt obligated to add friends and people I knew to my group of friends in Facebook, but I decided to use Twitter in a different way. I would only “follow” those whose tweets I found informative or useful. And I would try, at least try, to only tweet information which I also found informative or useful. The tweets I follow are now just as useful, if not sometimes more useful, than many news services or my Google Reader when it comes to hearing about some of the latest in translation, or issues facing translators and how they are dealing with them. And there’s an advantage to this format: the character limit means that I get short, concise snippets from different people, and I decide whether to follow the link to the full story or investigate further. A time-saver. People at industry events tweet throughout those events, so that even if I am not there, I get a taste of what is going on, what is being discussed, what is striking a chord with attendees (and the fun they’re having that I’m missing out on!). In a collaborative effort, everyone contributes what they have, what they know, what they have read or seen, to the mix. By selecting with care those you follow, you create a powerful way of staying informed and in communication with colleagues, with a minimum of time invested. By sharing with care what you find useful and informative with others in the industry or by passing the word on by “re-tweeting”, you are helping do the same for others. Check them out, and if you have not already, try forming a list of people you follow which you find useful and productive. Then try your hand at returning the favor to those who might follow you. I’m focusing here on the informative-collaborative aspect of using Twitter, and the benefits I have found. I’m sure there are pros (pro translators and pro tweeters) who can expand more on other beneficial aspects for their businesses of using this medium. I saw a blog post by Catherine Translates last week which was basically a short list of articles on things to keep in mind while preparing your website. The articles are useful, check them out. Approach your “About me” and your profile in general as if you were a potential client looking for a professional in the languages and field(s) you work in. Try not to copy and paste your CV into the “About me” section. Your profile has an area where you can upload CVs in various languages and formats, and a potential client who wants to see your CV will look there (you can also see how many times each CV has been opened). Rather, select some choice information that highlights your area(s) of specialization, qualifications, services– things that make you stand out as a professional. What makes you different from others in your field? Why should a client choose you for a project over your colleagues and competitors? Use your “About me” to make sure these things jump out at the visitor to your profile. Avoid using phrases such as “never missed a deadline” or “professional and reliable”– serious clients take this as a given when contacting serious translators. Keep the format of your “About me” simple but attractive. If you don’t know a little html, there’s a tutorial in the interface to edit your “About me”, and plenty of other guides online. Avoid overusing different fonts, font sizes, and colors, since this can make your presentation harder on the eyes. Spend some time crafting your “About me”. It is part of your online business card, and a thoughtful and useful presentation is easy to detect. So are haphazard ones. Has anyone found any good strategies that could be applied to crafting a great “About me”? 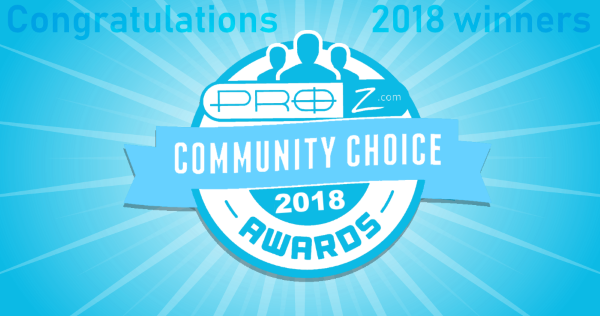 * ProZ.com currently ranks among the top 3,400 websites worldwide, according to Alexa. This means that pages on the site, profiles included, have a visibility on the web that is difficult to achieve with an individual website. Member profiles receive this exposure and resulting client traffic at a rate that is far greater than that of non-members. Compare this exposure to the cost of setting up and hosting an individual translator website, and factor in that web hosting is free for members, along with a range of other benefits (risk management, access to clients and job flow, networking, etc. ).